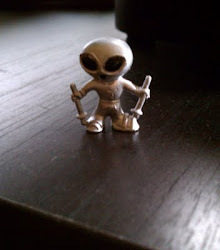 High Strangeness: Little Green Men! Where did the concept of "Little Green Men" come from? 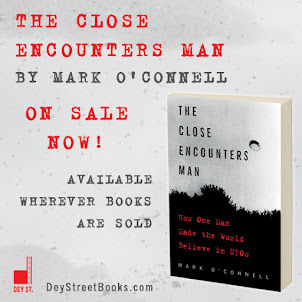 Most UFO occupant stories involve entities that are not little, not green, and -- let's be honest -- not men, so how did the term arise? It all began on a night in March, 1955, near the small Kentucky towns of Kelly and Hopkinsville, when the "Lucky" Sutton family were hosting a visit with the family of Billy Ray Taylor at their rural farmhouse. Billy Ray and his family were the only guests invited that night, so it came as a surprise when a flying saucer landed nearby and a phalanx of a dozen or so diminutive jade males emerged from the saucer and approached the farmhouse. Imagine seeing 12 of these things marching up your front sidewalk... Shotgun time! Were they just dropping in for a chat? Did they bring beer? Sadly, no one knows, because when the first of the undersized viridescent geezers showed its face at the screen door, Mr. Sutton blasted it with his shotgun. Strangely, that didn't seem to phase the green beasties at all. In fact, the more Lucky and Billy Ray shot at the creatures, the more they tried to get in the house. The more they tried to get in the house, the more terrified the humans became... For the next four hours the Sutton and Taylor families were held captive by the creatures, which not only seemed impervious to bullets and shot, but had an unusual ability to float around in the air. And thus the Little Green Men became a beloved fixture of UFO lore. 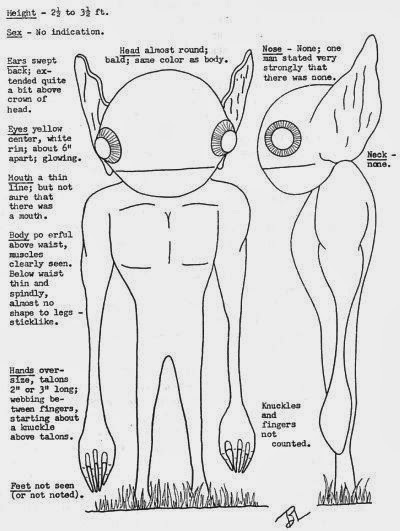 I belive the name little green men came from man in itlay one of the first enocunters before roswell in which descibes having the same uniform with lizard like eyes and green skin and about 3 feet tall. way before roswell crash. Thanks for the tip! That's worth looking up!